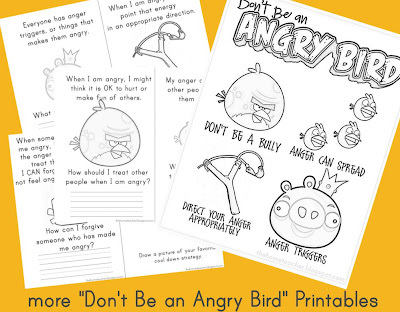 I have finished the newest “Don’t Be An Angry Bird: Lessons on Anger Management for Kids” printables. There are some new pages to be added to the original printable book. 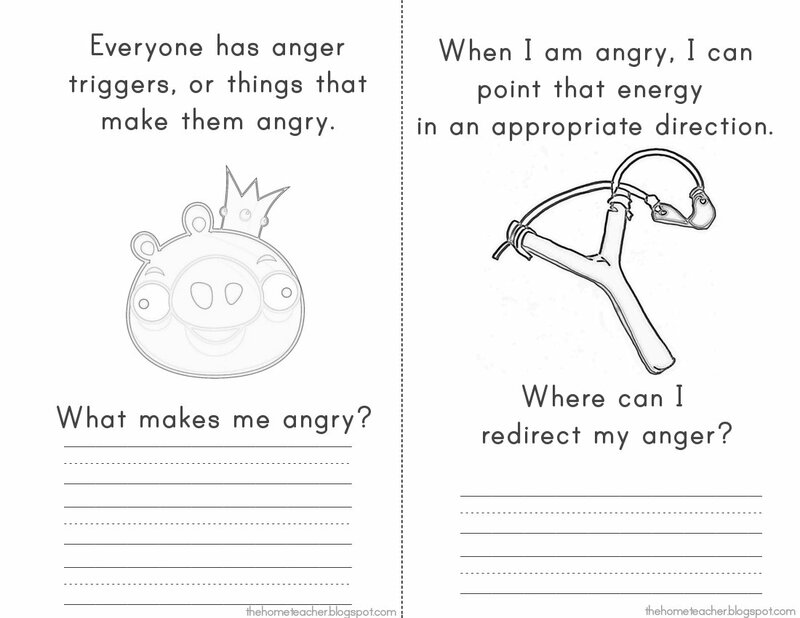 These are not intended to just be worksheets, but as a tool to discuss anger with your children. There are also new posters in black and white and color that I am adding to our wiki. To download these free files, click HERE. 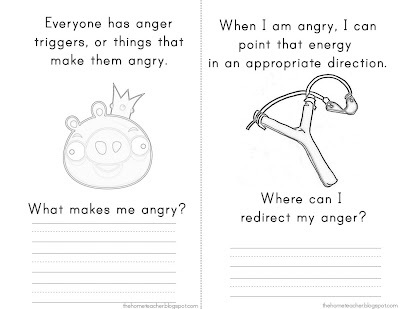 You will be redirected to our site’s wiki where you can download any and all anger management for kids files! I am in AWE with how quickly this idea is spreading. Thanks so much for your sweet comments- I read every one and am so excited that so many of you are able to help your kiddos understand and deal with their anger. This entry was posted in angry bird, faith & family, fhe, mommymadebook, printables and tagged anger, angry bird, behavior, parenting, teaching tools on March 28, 2012 by ktoponce. Thanks so much for expanding on your idea. I used some of your ideas with my kids already and it went over so well. I will definitely use your new printables. thank you for this! My older son loves Angry Birds (he’s played it twice lol) and he has quite the temper. I hope he’ll understand these printables (he’s 4yo). Thanks for this, it is truly inspired work especially as there is so little around for younger children. 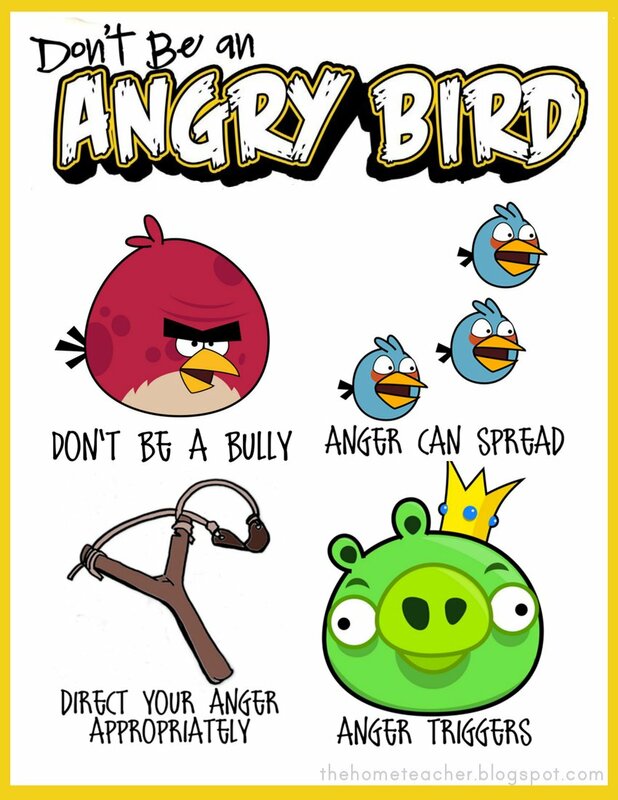 My 6 year old loves angry birds so this will resonate with him and hopefully help him. Thank you so much for this! Im a school counselor at an elementary school and the kids totally buy into this! It ties into everything i already teach! LOVE LOVE LOVE!!!! I work in day treatment and the kids loved the lesson I did using your materials a few weeks ago! I can’t wait to add these additional resources to their packets. Thank you soooo much! I have a child with ADHD and this is the best way I have come across to break down his anger and to get him to understand the causes and how to avoid situations that get him in lots of trouble. Thank you so much for sharing this with everyone. Please know that you are inspiring and thank you so much for sharing these incredible materials! 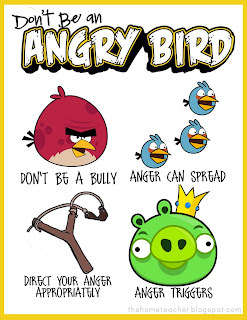 I have been collecting lesson ideas, learning activities and reviews to complement the “Angry Birds” app and this is the best work and use of this app to extend learning for kids that I have seen. You can see the other posts I have found on my pinterest account. Needless to say, I will be pinning your posts as well. I am a school principal of a very large primary school and will be passing on your resources with my staff (over 60 teachers). Thank you for generously sharing a brilliant idea and teaching strategy. Thank you for sharing your great ideas. We use the materials from “We Choose Virtues” to guide our kiddos in the better direction (I am a former teacher too.) We Choose Virtues has both a secular and faith based version. It’s outstanding at intentionally making kids aware of behavior and better choices. Your Angry Birds lessons will fit nicely in our work on the virtue of self-control. Grateful for your generosity and great ideas! Saw this on pinterest, and it’s our FHE lesson tonight. Thank you!! I can’t wait to use your printables to extend my lesson. Thanks!!! I can’t wait to use your activities to extend the lesson. Thank you! I can’t tell you how much this has done for my son. We are in the learning phase right now, but I have already seen positive changes! Thanks so much for sharing your ideas! I am adapting this for a group counseling program with some of my students! Thank you for sharing! I found you through pinterest and really hope these printables will help me talk to my son about how his actions affect others. He loves angry birds, so I’m hoping he can relate to these! My students saw them on my computer and I couldn’t print them fast enough. Looking forward to basing a few lessons on them. Thank you so much for all you do! 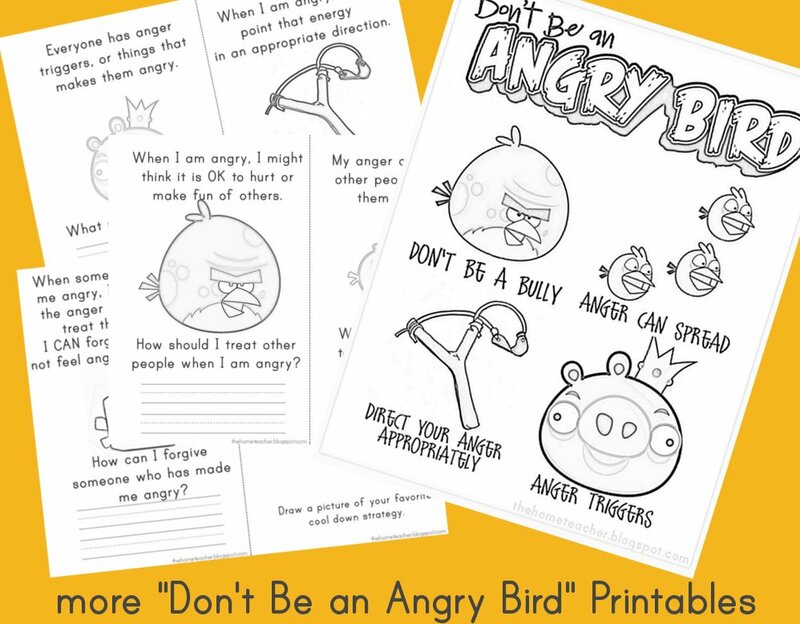 I am creating a similar book for a self-control group I’m about to start, can you please tell me what font you used for your angry birds booklet. It’s hard to find fonts with g’s and a’s like out students learn them. Wow! Thanks so much for supplying this awesome resource for free! This will be a great activity to do with the kids. Thank you! Will be using this for our family home evening. It’s an amazing lesson not only for the kids but also for us adults.